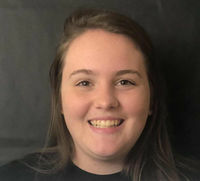 Senior Alissa Dannehl is a first-year staff member for the McIntosh Trail. She moved to Peachtree City from Louisiana the summer before sixth grade. She will be attending the University of Alabama next fall. In fifth grade, Alissa won the D.A.R.E essay contest at her school, and placed second place in her school’s spelling bee. She joined French club last year and has enjoyed learning the language her first three years at McIntosh. She also enjoys playing soccer and has been playing since she was three. Alissa decided to become a staff member because she enjoys writing and wants to explore different writing styles.